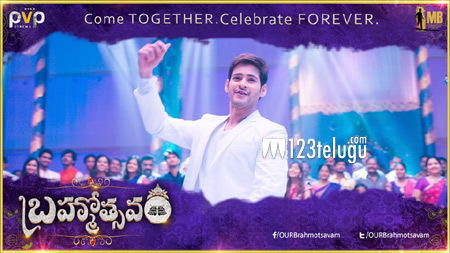 The censor certification of Brahmotsavam was completed yesterday, and the film received an clean ‘U’ certificate. Latest update from the censor board reveals that the film’s run time has been locked to 156 minutes. Reports coming in are hugely positive, and the buzz sorrowing this film is also huge. The film is a complete family entertainer and has some seasoned artists like Satyaraj, Jayasudha and Revathi playing very important roles. Directed by Srikanth Addala, Brahmotsavam is releasing in maximum number of screens all over the world. PVP Cinema is the production house.